Johnny Carson? Kenneth Tynan? Anonymous? Never continue in a job you don’t enjoy. His widely-distributed career advice quotation includes the above remark together with comments about inner peace and physical health. Would you kindly help me to find a citation? 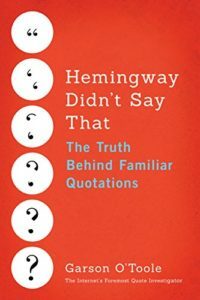 Over the years the passages above have been combined and streamlined to generate a popular quotation.